For all you SWOPistas who believe the International District Community Garden is a perfect location to center your mind and spirit- we couldn’t agree more! That’s why we have been hosting sunset yoga sessions- the next is on Thursday, June 13th and will be led by our friend Quela Robinson from Grassroots Yoga. The class will begin at 6:15 PM. We will keep you updated on future Yoga sessions at the garden. Come to Unity Yoga at the Garden! All ages, all levels, all good! Pay what you can if you have it : ) Beginners welcome! Wear comfy clothes and bring your own mat if you have one (or a beach towel if you don’t). Everyone is invited to attend this free workshop- this is an open community event. If you are able to contribute any equipment, such as an extra mats, block, strap or blanket please contact Project Feed the Hood through their Facebook page. Along with a workshop on building a trellis for the garden, this will be a general work day. Volunteers are needed to help us co-host this and other garden workshops. If you know anyone with experience, please let us know. People interested in co-hosting should show up a little early to talk to our garden team. We have recycled materials and other supplies- we just need your time and expertise. We have a very high demand for our garden workshops and other activities but we need volunteers to help! Anyone interested should come to this volunteer training and find ways to help out with Project Feed the Hood. June 29 – Garden Art! Come be creative at our garden and help us paint cool designs and important information to liven up the space. We still need a volunteer or community member to help us co-host! This is an excellent portfolio builder! We will provide our workshop co-host with support and supplies. We are looking for volunteers to help us with the International District garden. Anyone who can help with basic maintenance and upkeep would be greatly appreciated. Volunteers receive unlimited free sunlight. We are also looking for someone who could lead an art project that would involve painting signs with information and cool designs. Starting in June, volunteer training days will be the third Saturday of every month. Feed the Hood Farms will be selling fresh greens and eggs at the Nob Hill Growers’ Market on Thursdays from 3 – 6 PM. The Nob Hill Growers’ Market is located at Morningside Park on the corner of Lead and Morningside. 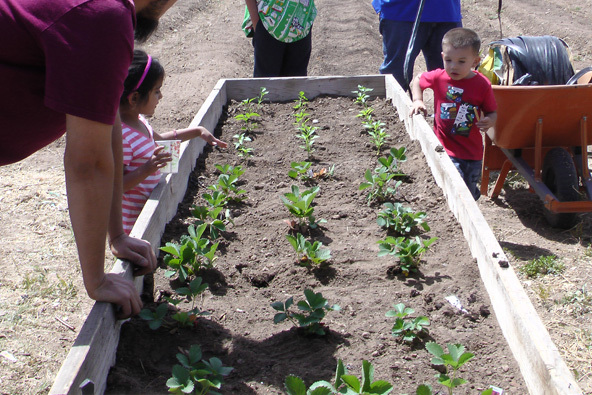 Feed the Hood Farms will also begin selling at the Armijo Village Growers’ Market on Saturdays. The Market is located on the corner of Isleta and Arenal in the South Valley.